hello! well, i certainly didn’t plan to be away from the blog for so long, but work, holidays and just general life got in the way. i ordered and received a new Aileen Doll dragon, Shy. i also recieved a replacement Seed dragon as I sold my previous one earlier in the year. i received two teeny tiny baby Aileen Doll dragons! my Pukifee Juri and my TS Pukifee Pio got sent off to the faceup artist (the lovely Anthrogirl on DoA) and came back with fabulous new faces! 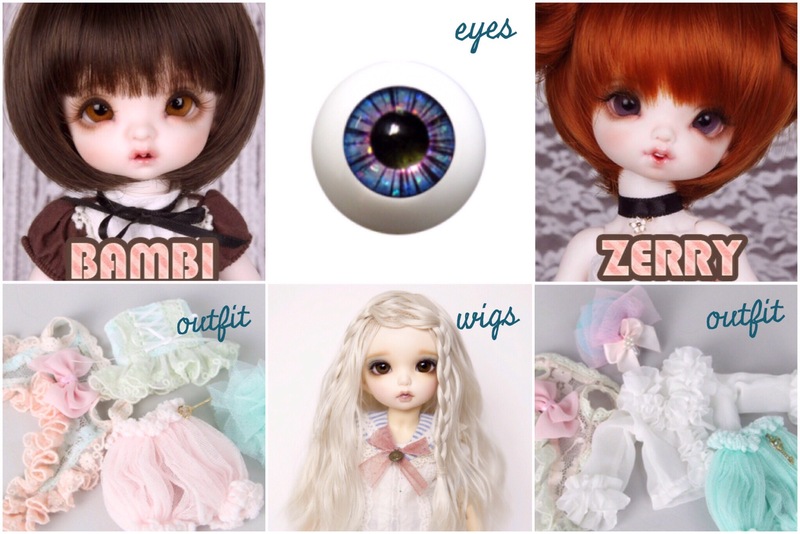 and finally, I have fallen in love with a couple of dolls from a fairly new company, Dolli-Pop. i haven’t ordered these yet, but that doesn’t stop me making plans! Looks like taking a holiday has allowed you plenty of planning time M. I have missed your posts and I love what you are doing with your dolls. So glad you ordered a tan Vanilla. 🙂 Congrats on the dragons too! I looked at Dolli-Pop and thought they look very similar to DollPamm, so I can see why you like them. Hope you don’t leave it so long to post again.